Editor’s Note: The Legacy Award is given each year at the Epilepsy Association annual Gala. The award recognizes individuals and organizations for outstanding support of the Epilepsy Association and for contributions to increasing the community’s awareness of and response to epilepsy. 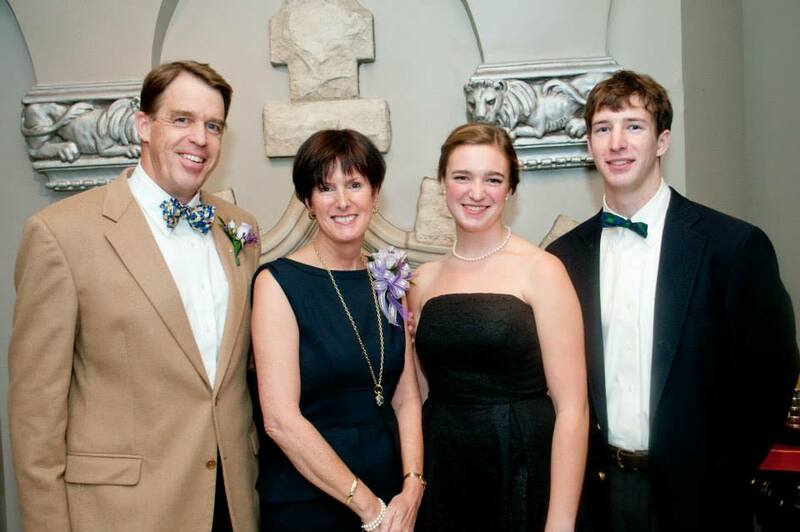 This past November, the Epilepsy Association was thrilled to present Lynn Shiverick with the 2013 Legacy Award. Lynn was honored for her contribution to epilepsy awareness and for her years of service on the Epilepsy Association Board of Trustees. We encourage you to find out more about the Epilepsy Association resources, especially the programs for schools that Lynn mentions in the following family story. My husband Reg and I have four children, now ages 19 to 27, but it is because of our third son, Parker, that we are a family with a connection to epilepsy. Parker was diagnosed with epilepsy when he was six years old. It was then that we could clearly identify that he was having partial complex seizures, and it explained a series of earlier frightening episodes and behaviors that we had just not understood. He was started on medication, and the following year we moved to Cleveland. That year turned out to be a really tough one for Parker and for us – during the year, he had 17 or 18 seizures, and they seemed to be getting worse. His first medication also made him dizzy, tired and kind of dazed. We had a lot of worry – about his safety, the long term quality of his life, what his options would be, how his learning was affected, would he be dependent, would he ever be able to drive, could he swim, play on the jungle gym and this is when I really learned about the particular challenges of people and families living with epilepsy. I was introduced to the Epilepsy Association by Max Wiznitzer, Parker’s pediatric neurologist at University Hospitals. Dr. Wiznitzer is a wonderful man, incredibly caring. He’s what I would describe as a “whole patient” kind of doctor. At our very first appointment, after reading the notes and examining Parker, he turned to me and said “What do you know about epilepsy?” And the answer then was that I knew very little. He suggested the Epilepsy Association as a first stop resource. Since epilepsy is the kind of condition that affects an entire family, I really gave him credit for being the kind of doctor who pushes parents to learn as much as they can about the disease, their choices and resources. Initially I contacted the Epilepsy Association as an educational resource, but quickly discovered that the organization was much more than an information source. It is also a service organization dedicated to helping people with challenges such as issues with employment, medicine and medicine cost, transportation, support groups, and education. One of the school programs that I was really grateful for was the Puppet Program, where Parker’s classmates were presented with a Puppet Show explaining what a seizure is, how to respond to someone having a seizure, and informing his teachers about epilepsy and what to do in the event of a seizure. Parker did have seizures at school and twice on the basketball court when we were not there, so I appreciated the value of this resource for educators and school personnel. Parker began taking a new medication when he was in grade school, which works beautifully for him and he basically has been seizure free ever since. He is now 22, an engineering student, also a talented musician, and he drives with a restricted license that is approved by his doctor every six months. We think he will be on medication for life but we consider ourselves very lucky that his seizures are under control. It doesn’t work that way for everyone. I joined the Epilepsy Association Board soon after learning about the organization, and then chaired the Gala party for several years. I also chaired the Development Committee, and did what I could as an advocate. I think in the beginning it was my way of doing something to help Parker; but the more I learned about the challenges of people living with epilepsy, particularly those without the resources I had, it became important for me to continue to help and stay connected. Epilepsy is truly a terrible, really limiting condition when it is not well controlled, and the Epilepsy Association does great things to help. I think when you have a personal connection to something like epilepsy (and there are others), and when that connection has made you learn that adults, kids and families are really challenged and struggling, the responsible thing to do is to help where you can. It’s important to support the work of non-profit organizations. Fortunately, we live in a community nationally known for its philanthropic support. I was honored to be chosen for the Legacy Award, but I think it is not really about me. It is about increasing awareness, and support for people and families living with the challenges and limitations of epilepsy. This coming January 18th, the Epilepsy Association is sponsoring the 9th annual Winter Walk for Epilepsy. This annual fundraiser is a great way to become involved, to meet others with a connection to epilepsy and to find resources. I encourage you to click here for more information about this fun, family friendly and indoor event! The walk will be held at SouthPark Mall in Strongsville and Great Lakes Mall in Mentor. Editors Note: This month we are posting the stories of the 2014 Winter Walk Featured Families. These families are sharing their stories to bring about greater awareness of epilepsy. Nick’s mom has written this blog. To support the Meyers Family’s effort please visit the Meyers Winter Walk Team Page We hope to see you at the annual Winter Walk for Epilepsy on January 18, 2014. It’s an indoor walk! The Walks are held simultaneously at the SouthPark Mall in Strongsville and the Great Lakes Mall in Mentor. Nick was diagnosed with Tubular Sclerosis shortly after his birth at 32 weeks. Tubular Sclerosis Complex (TSC) is a genetic disorder that causes non-malignant tumors to form in many different organs, primarily in the brain, eyes, heart, kidney, skin and lungs. The aspects of TSC that most strongly impact quality of life are generally associated with the brain: seizures, developmental delay, intellectual disability and autism. Current estimates place TSC affected birth at 1 in every 6000. Today, there is no cure for TSC. Since the age of 3 months, Nick has experienced daily seizures of all types. At times, he experiences seizures that result in him falling to the ground, resulting in injuries. Many, many medications have been tried and have failed to control them. He is currently taking 13 pills per day, a mixture of seizure medications, and has not maintained seizure control. He has spent approximately 5 weeks in hospital monitoring units to determine if he is a candidate for brain surgery. So far, all attempts have been unsuccessful. 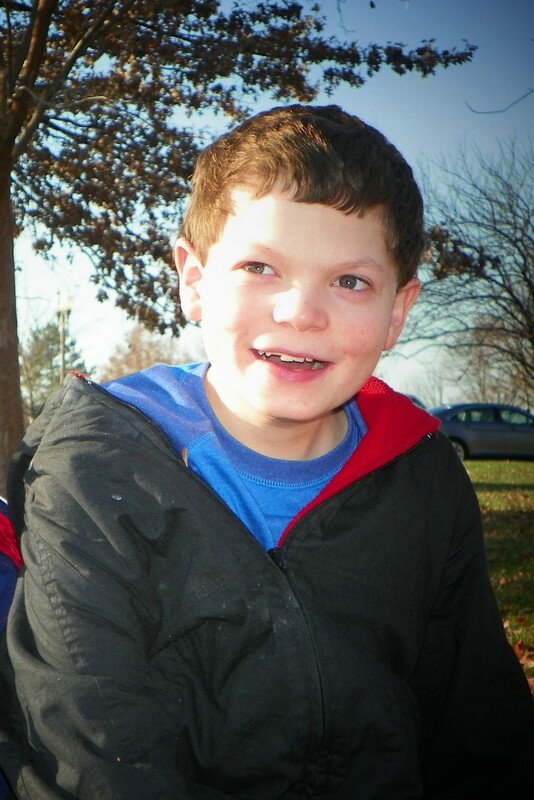 Nick is non-verbal, developmentally delayed and exhibits many autistic qualities. In spite of this he is a very energetic, happy, determined and loving young man. Even though he is non-verbal, he makes his wants, needs and emotions very apparent to those around him! He exhibits an amazing sense of humor that shines through even without the use of words. 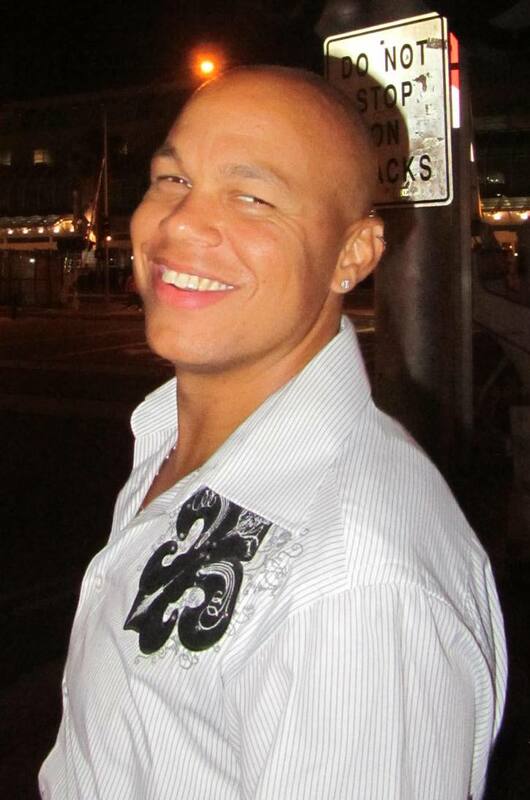 He has chosen to embrace life and live each and every day to the fullest. He doesn’t waste one second feeling sorry for himself. As a family, we’ve chosen to not allow Tubular Sclerosis or epilepsy define Nick or our lives. We make the conscious effort, led by Nick’s example, to go on living, even on the worst days. This would not be possible without prayer, laughter and the amazing support system that has surrounded us. We are blessed that every aspect of Nick’s life is supported with individuals that accepted him unconditionally and lovingly. Our family and friends are always there to provide constant emotional support. Nick’s classroom staff, in the Multiple Handicaps room at Greenbriar Middle School in Parma, are his biggest cheerleaders. They challenge him each day to achieve success through academics, life skills and social skills. In the summer, he attends Camp Happiness (Catholic Charities) where he is accepted and loved unconditionally. He participates in Parma Pride, Parma’s special needs athletic program. He comes together with other special needs children, learns athletic skills and gets the opportunity to just be a kid. He participates in activities at his little brother’s school where he has never been looked at as “different”. He is a member of Troop 2008, Parma’s special needs Boy Scout troop, where he can have fun with his friends. His medical team at Cincinnati Children’s Hospital works tirelessly to keep up with his ever changing medical needs, and provide all encompassing support for our family. Even with the battle’s that have been presented to Nick, he is the happiest and most content when our family participates in events that involve “giving back”. He participates in Catholic Charities Walk of Hope. He helped to plan a movie for special needs individuals with his dad at PlayhouseSquare. He helps to raise funds for Troop 2008 so that he and his friends can go on field trips together. He is participating in this year’s Epilepsy Winter Walk to help raise awareness and support for those with epilepsy. Nicholas was born on Thanksgiving Day, 2001. That truly summarizes Nick. As a family, we are so thankful to have him in our lives. He is the best son and big brother imaginable. He has taught us the true meaning of life: to count your blessings, love unconditionally and to give back to others in need. Please join our family and our team on January 18, 2014 at Southpark Mall for this year’s Epilepsy Association Winter Walk. Please follow Nick’s example and give back to those in need by donating to this cause that is so special to our family.